Lagree Fitness Wants to Help You be Fit in 2017! You are here: Home / Lagree Fitness Wants to Help You be Fit in 2017! Making Your Top New Year’s Resolutions A Permanent Lifestyle Change! It’s December 31st and you’re thinking to yourself, okay……..this is it……..I’m finally going to get fit and healthy……..and I’m going to stick with it! I’m going to start exercising 5-6x per week, I’m going to cut out all of the fast food and I’m going to plan out all of my meals……….to get healthy. Like everyone else, you start off strong but then a couple of weeks go by and you’ve had a rough day so you grab your go-to food & decide to skip your workout “What’s the big deal?” you ask yourself. I’ll get right back at it tomorrow! Well, tomorrow comes and you need to drive your kids to hockey and dance and you need to finish the report that you promised to hand in to your boss the next day. So not only is your workout out the window, it looks like it’s going to be a trip to McD’s for the fam. And before you turn around, all of those amazing resolutions have become a long lost thought. So how do you set goals and stick with them? Well, they need to be REALISTIC for you! You need to give some thought to your life, your schedule & your commitments. From there, set realistic goals that are doable for the long term. By long term……….I mean for life! So what does that look like for you? Well, maybe it’s not realistic to plan and prepare healthy meals every day of the week. Maybe 3 nights per week, it’s going to be fast food. There are, in fact, healthy fast food options! Maybe 5-6 days per week at the gym isn’t realistic, but perhaps 2 days per week is. If that’s what you can commit to then you need to find a workout that is all encompassing, efficient & quick. Lagree YYC is the place to be! 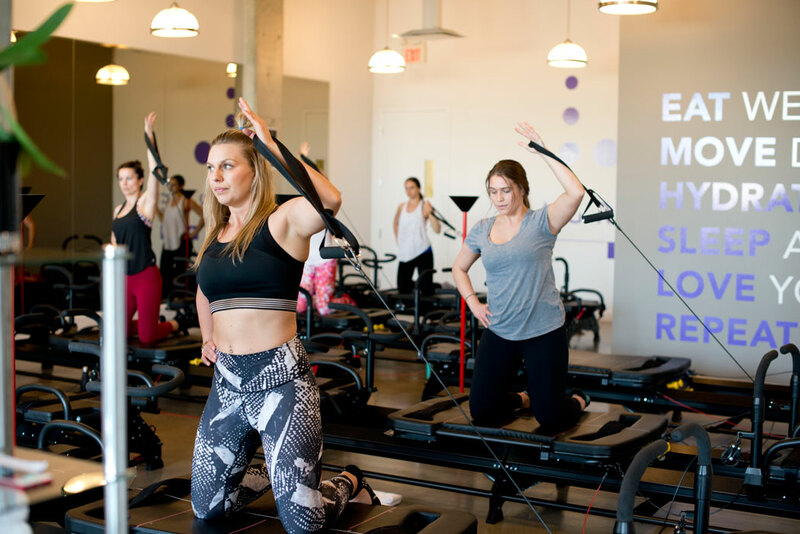 At Lagree YYC, you’ll be guided, in a small group setting, by a certified Lagree Fitness professional, through a 45-minute total body workout that targets all of your muscles without any impact to your joints. You do the workout on a machine called the Megaformer that consists of a gliding platform, a variety of resistance springs and cables. The exercises are all slow and controlled, which allows you to be very in tune with your body at all times. Because the class sizes are so small, you’ll receive personalized attention from the instructor, which allows this workout to be suitable for all ages (16 & over) and fitness levels. So before making your New Year’s Resolutions, really give some thought as to what’s realistic and then find the places that can help you stick with them……..for life!